Touring Destinations For A Trip To The Uk? Good morning! 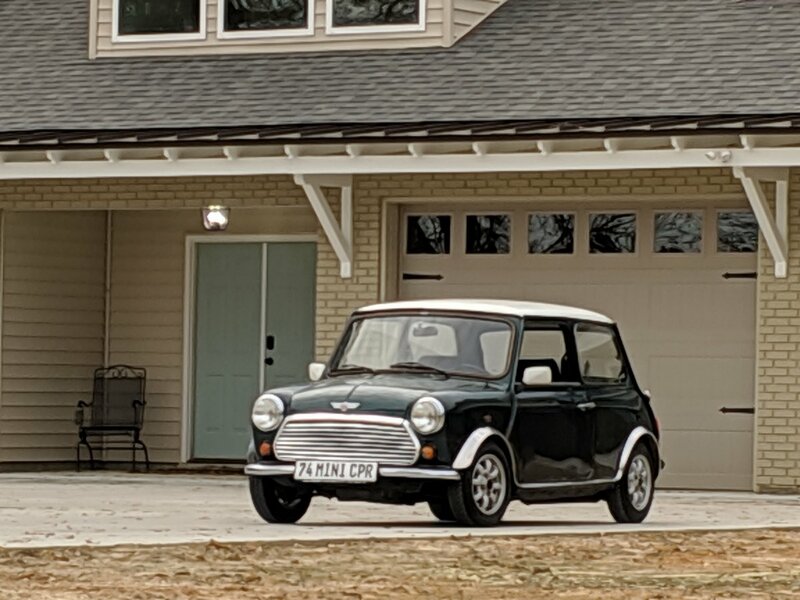 I'm a classic Mini enthusiast from Louisiana that is traveling to London with my wife and 13 year old son for vacation next month. I am looking for suggestions for opportunities to see some Mini history. I was already planning a trip to Oxford, but I am hoping to go to the Mini/BMW Museum there as well. I believe there is also a British Car Museum about another hour away. Is it worth the visit? Any shops/tuners close to London? While we are at it I would love any other suggestions for our trip. I have visited London a few times before, but my family has not. Any spots that a teenager would get a kick out of? Food, sights, happening in the beginning of March? Thanks!! Well Minispares springs to mind if you want a shop - just outside London. Not the most picturesque location though but a few Minis to look at inside and the staff know their stuff. The tour of the Oxford MINI factory and Mini museum is well worth doing but I advise you to book online in advance as they get booked up and can rarely take visitors who arrive on the day without pre-booking tickets. The British Motor Museum at Gaydon is also well worth a visit but is a couple of hours from London up the M40 motorway or if you stayed overnight in Oxford after your visit, you would be only 45 minutes from the museum in Gaydon for the next day. Worth checking out Ace Cafe in London if you've not been before :) very historic little place and theres usually an event on of some sort every weekend. Edited by Chris1992, 14 February 2019 - 12:22 AM. Also 2nd the British Motor Museum at Gaydon. Edited by cooperd70, 14 February 2019 - 06:09 AM. I'd suggest taking in some driving roads... in the south you have cheddar gorge and the south downs. If you want to venture up north, or wales there's plenty more up this way. Black mountain pass, evo triangle in wales and the alston pass & Yorkshire moores in northern England.. among many more. Not being funny but I doubt a family on holiday are going to want to cram into a tiny mini and drive to the middle of nowhere. Buckingham Palace, Houses of Parliament, Big Ben, Tower of London, Oxford Street shopping and Harrods, Selfridges etc. You can knock that lot out in a day, a trip on the London Eye or up the Shard as well. The Oxford is really nice with loads of historic buildings and such, if you want to visit the Mini museum the wife/daughter could always spend the afternoon punting on the river if they're not too enthusiastic about going. What are 13yr olds in to? You could tick off a few Harry Potter film locations in London & Oxford without paying the extortionate studio tour fees. Camden and Brick Lane are young and trendy areas - should also be some suitable music gigs if you search online. A football match, try not to call it soccer. There are lower league clubs, not just Arsenal, Chelsea, Spurs. As long as you're not too sensitive to colourful language! There might be activities at the Olympic park. A boat trip down to Greenwich is a great way to get a sense of the city, usually with an entertaining commentary thrown in. If you're thinking of using the train, look at buying the tickets online, they're cheaper the more in advance you buy them. how long will you be in the UK? Edited by Matt Brighton, 14 February 2019 - 05:05 PM. How long are you visiting for? Plenty to do outside London but if you're here for just a week I guess you won't want to be tearing around the country. Whatever you do, hope you have a great time. Take them on the London Eye. The view is fantastic. Take a tour bus ride. Everyone should “mind the gap” once. It’s just a subway but if you have never been it’s cool. Trafalgar Square is something to see. It ends up in movies a lot. Great for those “hey we’ve been there” moments. London is ok but I’m not that into big cities. I like meeting the people out in the country and the scenery is beautiful. Thank you thank you thank you for your suggestions! We will be in London for 1 week, the first week in March. Hoping that we get some decent weather. I think I've pretty much filled up the trip with the suggestions here!